The six-story Gilded Age building located at 190 Bowery has remained a mystery for years. The former Germania Bank, built in 1898, became a landmark in 2005, but the gritty exterior walls and boarded-up windows covered in tags and graffiti made the building look abandoned. 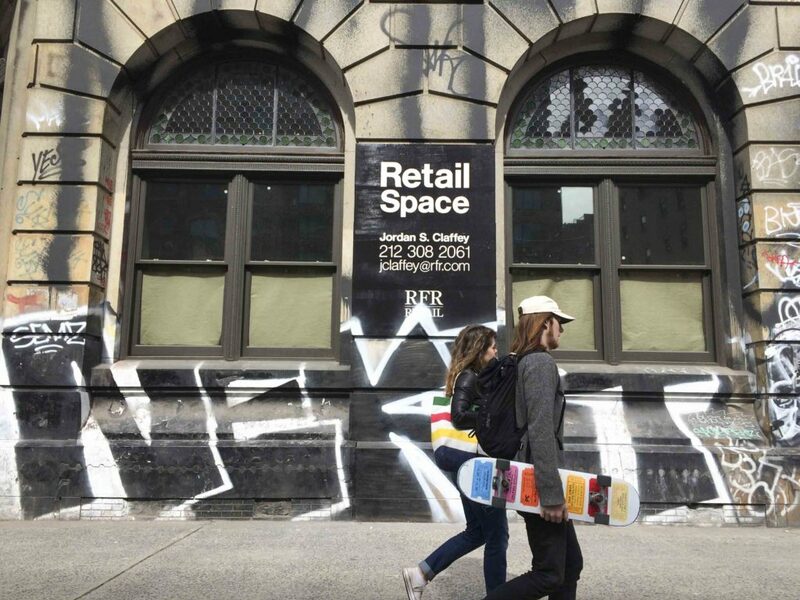 The graffiti was so much a part of the building that the Landmarks Preservation Commission approved restoration with allowances for the street art to remain on the ground floor. The rugged exterior made it seem highly unlikely that someone lived here. But someone did: photographer Jay Maisel. Maisel purchased the abandoned building in 1966 for $102,000 and resided there with his wife and daughter for 48 years. In 2008, New York magazine published rare interior photos of the Maisel family inside their home. Artist Roy Lichtenstein once rented out the fourth floor from Maisel. For years while the Maisel family lived there, the iconic building with marble columns served as a canvas for various artists, including Keith Haring, who used to create chalk drawings on the outside. It has also attracted graffiti writers from around the world who want to showcase their best work. Since 5 Pointz in Long Island City was whitewashed and destroyed in 2014, 190 Bowery is one of the last remaining meccas of street art in the city. But its future status as a graffiti destination is fuzzy. Maisel sold the 37,000-square-foot building with 72 rooms for $55 million to Aby Rosen, an art collector and real estate financier for RFR Realty two years ago. The reaction was immediate. 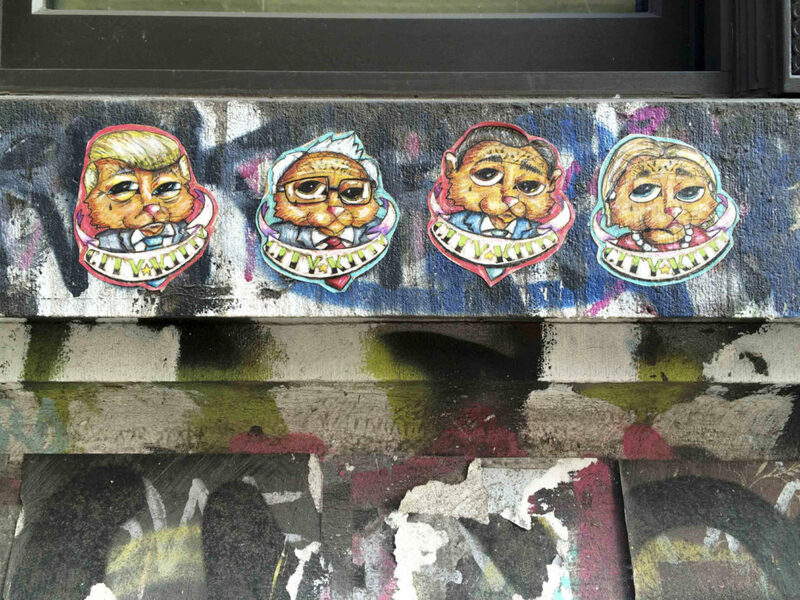 The 190 Bowery building is home to old and new graffiti, such as the 2016 presidential candidates by City Kitty. In 2014, Hot Tea, aka Eric Rieger, created a custom-made wooden piece that said, “Uuggh” to fit in five of the building’s windows. The Minneapolis artist is known for combining typography and yarn. “Uuggh” was removed quickly from the windows by the new owners. RFR Realty began renovating the space this year, preparing the first floor for retail space and the upper floors for office space. On March 28, some patches of the stone exterior were wiped clean of graffiti. One piece, titled “Nekst,” has become a tribute to its creator Sean Griffin, who died in 2012. A “K” in the piece that was removed in March was repainted in April. RFR Realty declined to comment about its plans for the graffiti. Meanwhile, graffiti writers and fans of their work are worried about the potential changes to the building — and what they might mean for the graffiti that covers it. Street photographer Daniel Albanese, also known on his site as The Dusty Rebel, takes us on an exclusive tour of the current graffiti at 190 Bowery before it, in all likelihood, disappears. The tour can also be seen with Google Cardboard through Vrideo here. Very cool, now I have to check it out for myself. Nicely done!